A new word is circling among homeowners on Phuket’s northwest coast, spoken so quietly it is barely a whisper: “carpet”. Well, rugs too, if we want to be specific. The new Express Carpet & Decor in Baan Manik, Cherng Talay, sits amid Phuket’s expat family heartland, located at the entrane to Wana Park in Baan Manik, Srisoonthorn. The range is key to the appeal, with prices from B2,000 up – for use under dining tables, in living rooms, bedrooms, indoor/outdoor areas patios, all the way down to bathmats and doormats. The range of customers walking in has been nearly as wide and varied as the range of floor coverings on offer, with families taking centre stage, says Business Development Director Rawewan ’Moo’ Kowsurat. Rawewan ’Moo’ Kowsurat is Business Development Director of the Express Carpet & Decor family business that first opened its doors in Bangkok 47 years ago. The silent arrival of Express Carpet & Decor in Cherng Talay in October has not gone unnoticed. The doors opened and the first person to take advantage of the new outlet was a loyal customer from Bangkok. “She wanted something for her villa here in Phuket,” explains Rawewan “Moo” Kowsurat, Business Development Director of the family business that first opened its doors in Bangkok 47 years ago. Since then the range of customers walking in has been nearly as wide and varied as the range of floor coverings on offer, with families taking centre stage. “Already, we have had a mix of Thais and foreigners, aged 30s-40s -plus. Most of the people coming have been selecting something for their homes,” Khun Moo notes. “Every house should have one piece of carpet, to bring a personal touch to the home,” she adds. 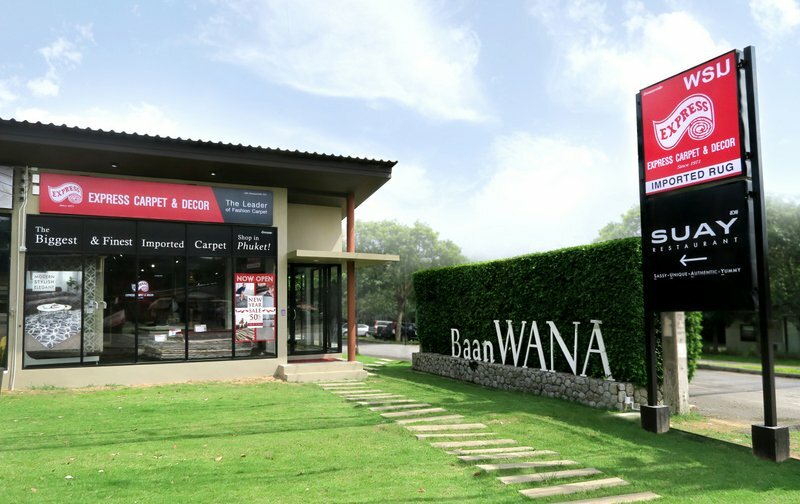 The new opening of Express Carpet & Decor in Baan Manik, Cherng Talay, sits amid Phuket’s expat family heartland, located at Wana Park, directly across from the well-known Tile-It showroom and just in front of the renowned Suay restaurant along the entrance to the Baan Wana estate. Heroines’ Monument is only five minute’s drive along Srisoonthorn Rd, while the Laguna area is only five minutes’ westward. “We don't want to be in town,” Khun Moo explains. “We want to be in touch with our customers. We know where they are,” she smiles. Initially, customers focused on outdoor, natural fabrics and styles, for use in Phuket’s tropical climate. Handily, the range available are fungus and UV resistant, and easily cope with dew and water. Some of them you can even hose off and hang to dry. Yet in the few months the store has been open customers are now looking at, and buying, all sorts of styles and fabrics. “Just days ago we had a hotel GM (General Manager) who bought 50 pieces,” Khun Moo says. The corporate clients on the island include the Pullman Phuket Arcadia Naithon Beach and the Absolute Twin Sands Resort & Spa at Tri Trang Beach, with more already expressing interest. “The shaggy style is currently very popular in Bangkok, but even then other people are just choosing what they like most, with patterned modern short pile, which is easy to maintain, also proving popular,” Khun Moo notes. Express Carpet can cater right up to the high end, the team literally caters to red carpet events and keeps an A-list of celebrity clients in the capital. The nature of the guests and occasions of the some events makes them unavailable to mention for promotional purposes, but one of Express Carpet’s main highlights has been being called on to provide 2,000 square metres of prime, pristine carpet for the wedding of Ravi Itiravivong and Voramas Srivaddhanaprabha, the daughter of King Power founder Khun Vichai. The event, held in a glass house built especially for the occasion at Fountain Square, King Power Rangnam, was honoured by the presence of HRH Princess Sirivannavari Nariratana. 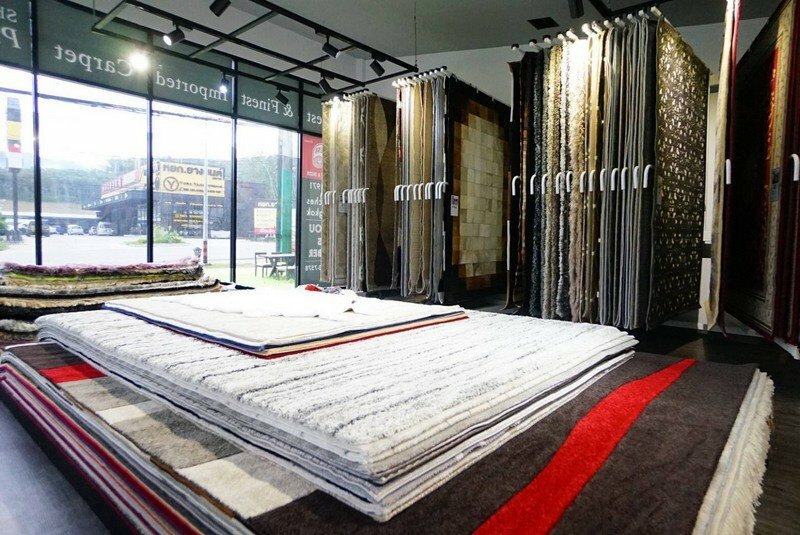 The exclusive clientele, which includes Athiwara “Toon Bodyslam” Khongmalai, also tend to favour the “modern, stylish, elegant” choices, leading to Express Carpet’s slogan “The Leader of Fashion Carpets” – a slogan given to them by their customers themselves. Among the luxury group machine-tufted carpets available are styles made of chenille and viscose imported from Belgium's leading manufacturer. Personalised touches include custom patterns, logos and motifs, and even free-form shapes and sizes. “Customers can select the yarn such as Acrylic, Nylon, Silk, Rayon etc. and have their carpet hand-tufted to design. It takes 30-60 days, depending on the piece,” Khun Moo says. Of course, wall-to-wall carpet laying also is available. “We have a team in Phuket, but depending on the scale of the project will bring a team down from Bangkok,” Khun Moo notes. The personal touch is central to Express Carpet as a family business, Khun Moo explains. “Many of our team have been with us since the beginning, most of them for 20 to 30 years. We’re pretty much one big family, which is how we began,” she says. Express Carpet & Decor is offering a Carpet Lover promotion from Feb 1 - Mar 3. All items are discounted during the period, with 50% off prices on some items. 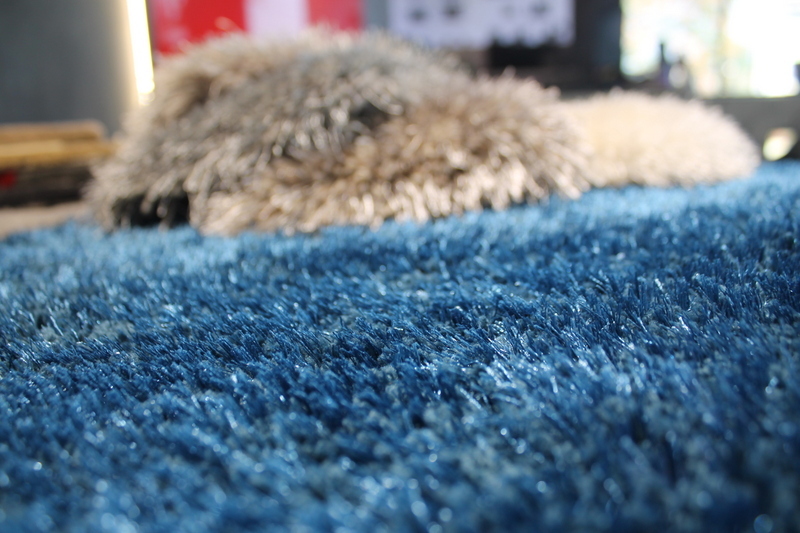 For more information contact Express Carpet & Decor Phuket. 177/23 Moo 4, Srisoonthorn Rd, Srisoonthorn, Thalang, Phuket. Open Mon.-Sat. 8:30am – 5:30pm.